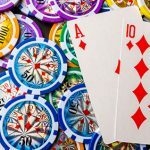 In today’s World Series of Poker review we bring you up to speed on a second Triple Crown win of the summer, and a near miss by Phil Hellmuth in the Razz. At 19-years of age, Harrison Gimbel travelled to the Bahamas to compete in the PokerStars Caribbean Adventure (PCA) and left with $2.2m and the accolade of being the youngest ever PCA Main Event winner. Fast forward seven years, and Gimbel has become the seventh player to join the illustrious Triple Crown club after winning the 2016 World Poker Tour (WPT) Rolling Thunder, and a few short days ago, a World Series of Poker (WSOP) bracelet in Event #68: $3,000 No-Limit Hold’em. It took him seven years, six months, the longest period of any member of the club. 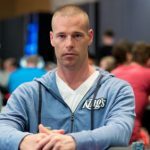 Gimbel came into the series in fine fettle after finishing runner-up to Charlie Carrel in the $10,300 buy-in Spring Championship of Online Poker (SCOOP) Main Event for $1.1m. This time around, he faced an equally competent opponent in the WSOP bracelet winner, Chance Kornuth, only this time Gimbel ended up starring in the winner’s photo and not watching from the rail. 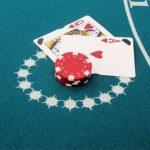 The event attracted 1,349 entrants, 20% more than 2016, and the third day of action lasted a eyelid drooping 14-hrs, with the exception being the heads-up phase, that only lasted seven hands after Kornuth found pocket tens as Gimbel stared down at the ladies. 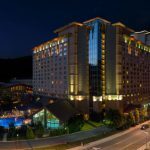 Gimbel’s Triple Crown win comes less than a week after Mohsin Charania became the first player in five years to join the club after taking do wn a $1,500 No-Limit Hold’em event. It appears they are just like buses. Other notables who went deeper than a whale made of gold were Matt Salsberg (13th), Daniel Negreanu (29th), and Ryan Laplante (32nd). When Phil Hellmuth decided the 48th Annual WSOP would be the venue for the launch of his long-awaited biography, one suspects he would have wanted it to accompany the feel of gold. It wasn’t to be (not yet at least). The WSOP star has cashed in seven events, bubbling the One Drop High Roller final table, and making the final table of the $10,000 Seven Card Stud Hi-Lo Championship – not what you would expect for a man of Hellmuth’s WSOP calibre – but he was hoping to put that right in the baby Razz. The most successful WSOP player of all time busted in sixth place, and only winning the Main Event will make up for such a barren season. 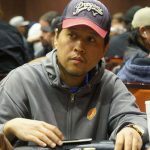 Hellmuth wasn’t the only WSOP star to make the final table. 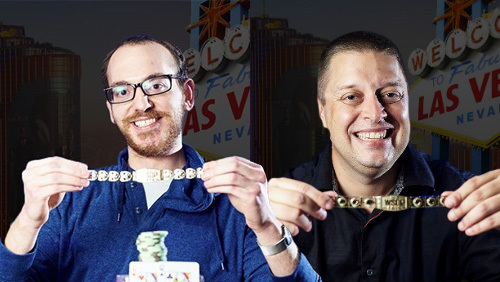 Benny Glaser was seeking his fourth bracelet, and David “ODB” Baker was also looking to join the multiple bracelet club. Glaser would fall in fifth, one step ahead of Hellmuth, but Baker would make it all the way to heads-up squaring off against a 40-year old IT worker from Chicago called Jason Gola. Before the event began there wouldn’t have been much money placed on Gola taking the bracelet; he had only registered eight cashes on his Hendon Mob database. A 10th place finish in a 2015 $1,500 H.O.R.S.E event for $15,424 his best score. And Gola was still the underdog when he made the heads-up phase. ODB was making his second Razz final table of the summer after finishing third in the $10k Championship event, but experience didn’t win on this occasion. Gola taking the gold after a six-hour marathon. The event attracted 419 entrants, a 9% increase on last year.